As a writer, do you want money or recognition? I read an article last night on the On the Premises website. The post was in their writing tips section and of course I had to check it out since Thursdays were dedicated to guest authors sharing their writing tips on this blog from October-February. Rather than a tip, it was more of a thought-provoking piece on what writers want when they decide on a career in writing. The blog post author (he/she never credited herself in penning this article) wrote, "Publishing an on-line magazine with the goal to make published stories available indefinitely has brought an interesting philosophical battle to my attention. There can be a struggle between the desire to make money from your work and the desire to have your work witnessed, appreciated, and/or recognized by others." Find the essay titled Two Kinds of Writers in the Writing Tips section and check out their contests. No fee to enter. Did you decide to become a writer because you're interested in making lots of money by writing fiction? Did you decide to become a writer to be famous and appreciated through your writing? Do you want to develop memorable characters who will leave a lasting message on our society for years to come e.g. Atticus in To Kill a Mockingbird. I must remind you that this is a philosophical discussion because I imagine if you become recognized (think Stephen King or J.K. Rowling) for your effort, you will be richly compensated. In this world of technology your books will available as digital files in cyberspace for infinity, so you could be famous now and into the future. The article's author asks, "What’s more important to you, money or recognition?" How would you answer that? Please leave a comment below to join in the discussion. This article was a timely one for me, because today is no ordinary Thursday. I am bursting to tell you, but I don't want to "let the cat out of the bag" and blow the whole surprise. Well, maybe it isn't a surprise so much, as news. I'm sitting on my hands so-to-speak, trying not to say anything. Zipped my lips shut. But then again, this news adds to this discussion of fame or fortune in a different way. I am going to explode though if I just don't just come out and say it! Ta-dah!!! 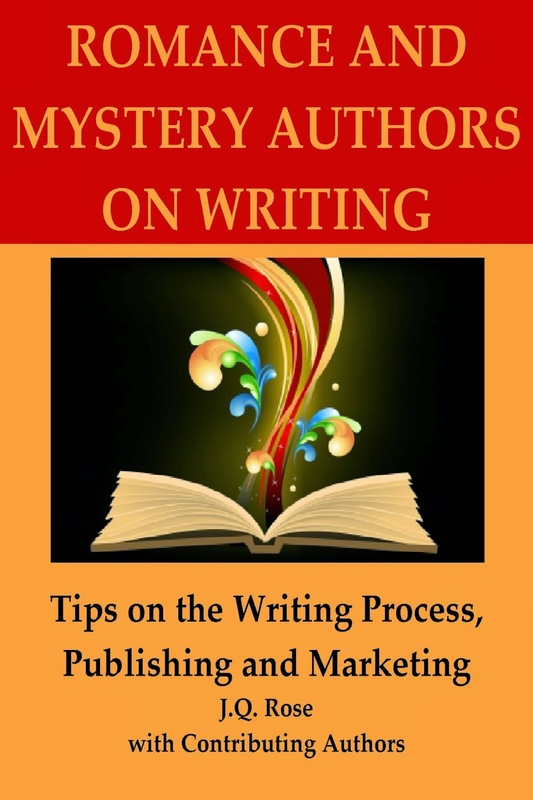 The Writing Tips book is published on Amazon and ready for you! Squeeeeeeeeeeee.. Dancin' around the chair. Breathless. I've had so much feedback from the authors who are ready to shout about the book, I decided to go with that program too. If you would like a free PDF copy of the 40 page book, please contact me at jqrose02 at gmail dot com. Hopefully you'll be able to leave a review and recommend it to your friends. So you're wondering why does this book launch have anything to do with the philosophical discussion on fame or fortune as a writer? For awhile now I have been questioning if the world really needs anymore mysteries, fantasies, horror stories in this already mixed up world of terror and unimaginable crimes. As I see that I have more years behind me than ahead of me, I want to offer, in my writing, information that will help society. I think this writing tips book will definitely offer eye-opening tips to new writers. 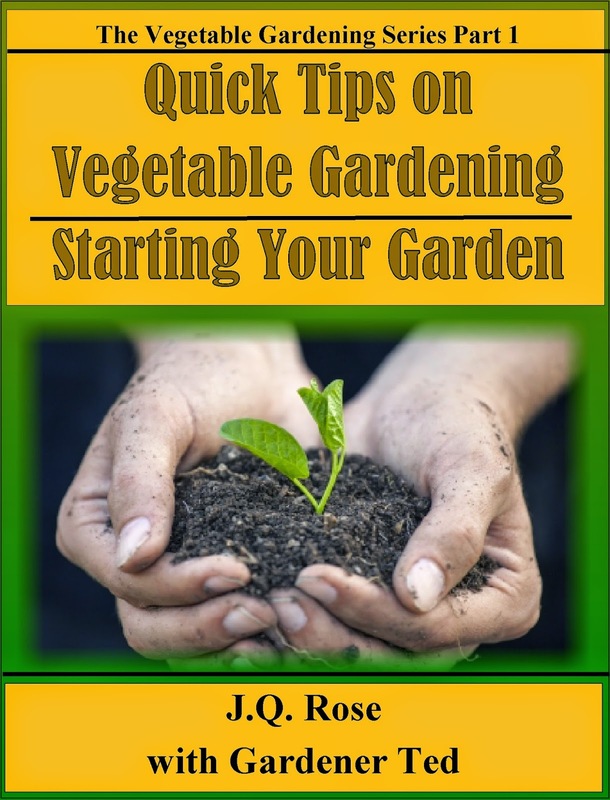 In our gardening book, released in February, my DH, Gardener Ted, and I shared lots of valuable quick tips for new vegetable gardeners. And it feels good! It feels even better when I know I'll be donating the royalties from the writing tips book to public libraries and royalties from the gardening book to local food banks. I'm not saying there is no place for good escape reading to help get us through some of these worrisome times. In fact, as a writer, you know those stories just wind through your brain and you have to get them out on the page. But I'm not looking for fame or fortune when writing fiction. I am looking to get a message out to the world through characters and settings, etc. to bring awareness, start discussions, and to find solutions to problems in our society, as well as entertain readers with a great story. When it's all said, in order to get my message out, I have to become recognized. How do you view your writing career? Take a few minutes to leave a comment, please. We'd love to enjoy a rich discussion from all sides. Thanks! Be sure to get notification of every article posted on the J.Q. Rose blog by following by email. Enter your email addy in the box on the right side bar. Thank you! A lot of complex topics here, J. Q. I wouldn't be sorry to make a lot of money with my writing, but the recognition is way more important. (Not sure my husband agrees. LOL) For the reader to tell me how much they enjoyed one of my books...that's just super. I love that you've put together inspirational and teaching books, J.Q. I'm a teacher at heart. However, I do believe that we all need escape literature to help us get through the tough times. I read HEA romantic suspense. That's what does it for me. Others may choose vampires, urban fantasy, ScFi, cozies. But those escapes are important. And for many of us knowing we can count on a happily ever after in the books we're reading gives hope for our own lives. Thrilled to be a part of the new book, too. Boy, there's some great info there! First off congratulations, J.Q. for the release of The Writing Tips book and to all of the authors who contributed! How exciting! Thanks so much for putting the writing tips book together, JQ. The cover looks brilliant. Such a great idea. I'm really excited about telling everyone all about it! In answer to your question, my main wish is to write a good book that people will enjoy. I'd love to make money from my books, but I wouldn't want to make money from a badly-written book. I hope that makes sense! Like Susan, I started writing a novel just to see if I could do it, then the enjoyment of fiction writing sucked me in. I'd prefer money over recognition (as in fame), but I want people to enjoy my books, and I do like it when someone pays me a compliment or in some way acknowledges my achievements. There's a ton of work that goes on behind the scenes that few see. Marsha, thank you for your kind words. I too believe we need those escapes into stories to deal with real life. Thanks, Susan. It was quite a project and I enjoyed putting it together. I know what you mean about getting hooked on fiction. Congrats on book #3. Helena, Yes, it does make sense. But why did 50 Shades of Gray make so much money? I heard it was not a well written book. Probably because people love the topic....Glad you like the cover. It was quite a decision to make. Thanks for stopping in. Melissa, you are so right about the work that goes on behind the scenes. Developing a great story takes a lot of thought and discussion. The process can be a lot of fun too.